It goes without saying that the Internet of Things has increased tremendously in scope over the past few years. What's more, forecasters predict even greater growth in the years to come. Gartner expects the number of available connected devices to hit 20.4 billion by 2020 - just three years from now. It stands to reason, of course, that all of those products will generate incredible profits for their vendors. Indeed, Bain & Company predicted the annual revenue for businesses selling IoT hardware, software and solutions could exceed $450 billion by 2020 as well. IoT vendors should be excited about these expectations, but they must also remain wary. This promising future - both in terms of market reach and revenue - could easily be undercut by one thing: a poorly designed billing solution. The future of IoT looks promising, but vendors must be careful. An IoT device's primary selling point is its convenience. That's an obvious statement, but it's importance can't be emphasized enough. Users choose an internet-connected HVAC system over a standard one because if, for example, they forgot they left the AC blasting before leaving for vacation, they can switch it off while en route to the airport. Similarly, manufacturing plants use IoT solutions to alert them to status changes or problems that could create dangerous working conditions. That said, consumers don't just want convenience from the products themselves. They also expect it from the systems behind these solutions. For example, let's say a homeowner has a smart refrigerator that monitors humidity and temperature. If the sensors in this machine stop working suddenly, the owner wants to easily and effectively get in touch with the help desk. No searching for a phone number or email address, just immediate contact and a fast solution. The same is true for billing. Consumers and businesses alike want the convenience of their payments to match that of the IoT product itself. When paying for a product is much more difficult than actually using it, consumers grow more easily frustrated. This annoyance compromises a business's customer retention efforts and increases the risk of churn. 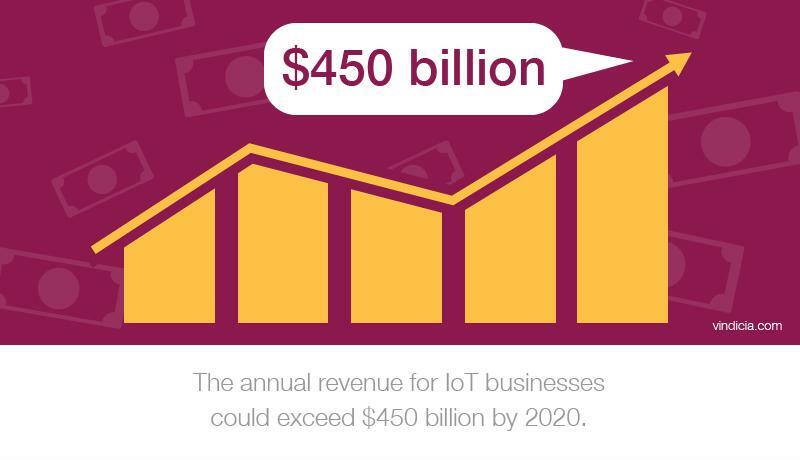 So what should IoT businesses do? When trying to monetize their product, they should look for a flexible subscription billing solutions provider that prioritizes customer convenience. Automatically retries failed payments. This process can severely minimize accidental churn. Adapts to new promotions within minutes. Discounts, sales, add-on features and other attractive incentives play a huge role in acquiring new customers. A strong marketing team constantly creates new promotions that appeal to various markets, so IoT vendors need a billing solution that adjusts quickly to these incentives. Merges with existing billing infrastructure. Many IoT vendors have products on the market already, which means they also have one or more payment solutions in place. If their current infrastructure does not meet with the needs of their IoT products, then they need a platform that provides these features while also working with - not against - their existing solution. By prioritizing customer convenience in terms of both product performance and ease of billing, IoT vendors can better take advantage of the market's potential.